Today we announced nearly £1.5 million funding and support by the Big Lottery Fund, Heritage Lottery Fund and Nesta. Together, we will be working with eight pioneering parks projects, supporting them to develop the most promising and innovative operating models for parks. Projects will involve communities and councils working together to make the most of these vital community assets, including; forming parks foundations, nurturing and networking friends groups and generating new income streams through renewables and links with local businesses. We hope to share and spread the learning from the programme to parks around the UK so are keen to hear from others who would like to find out more. 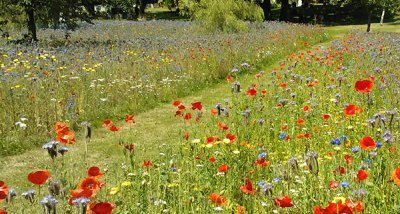 Bristol City Council and Bath & Northeast Somerset Council are joining forces to develop a Parks Foundation to support parks across the two cities. This collaborative approach will test how public giving, volunteering and social enterprise can be encouraged to benefit parks for public use and enjoyment. The work will build on and learn from Bournemouth Parks Foundation - the pioneering foundation that was supported by Rethinking Parks in 2014. The Bristol and Bath Parks Foundation will also share lessons learnt. 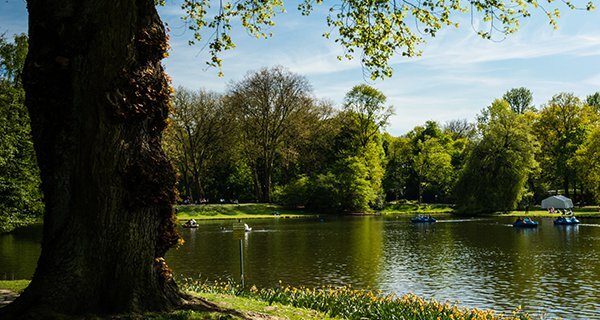 Leeds City Council will work in partnership with Leeds Community Foundation, Leeds Parks and Green Spaces Forum and the University of Leeds to research, develop and promote charitable initiative the ‘Leeds Parks Fund’. The partners will explore the longer term sustainability of the model; undertaking research, developing and implementing fundraising and marketing plans, and engaging local communities and businesses to help realise and understand the potential of the Parks Foundation model in a major northern city. The team will explore whether working with a community foundation partner could be applied successfully to other locations. Par Track is a young organisation, based in Cornwall and created and led by the local community. The team will look at how they can offer new services to reduce health inequalities and attract a number of different groups who would otherwise be under-represented and under-supported to use the park to embrace a healthy lifestyle using social prescribing and issuing a community share offer to help raise funds and support. Performing Parks is an approach to collaboration between parks services and the community that has been created, developed and enhanced by the Friends of Hardie Park in Essex. The community ownership model revived a disused park and made it into a thriving public space with a community cafe and activities for all to enjoy. It will build on and codify this experience and spread the model to 5 other parks, creating a package of learning and support to spread the approach to other areas. The Friends of Lordship Rec will test, develop and analyse the potential of their community empowerment and co-management model between Haringey Council and the Lordship Rec User Forum, which includes twenty self governing Lordship Rec User Groups. It relies on a balanced and meaningful partnership between Council and Friends groups and enables the local community to take decisions on the management of their park and its various facilities. The team will promote this to other interested parks and organisations. This team will engage local businesses in supporting parks as part of their commitment to the local community. They have learnt from the previous Rethinking Parks programme in Darlington that it is important to meet the needs expressed by local businesses to get a clear offer of activities and events to engage with. The aim will be to bring together community and business in a more systematic way to make the most of their common interest in supporting and sustaining their shared local environment and green spaces. The team will explore the potential for installing ground source heat pumps within parks. They will involve the local community and create governance structures to manage income generated for local benefit. The project plans to save money through generating clean energy to heat buildings close to the parks, displacing previous fossil fuel use. A primary focus for the project will be the Hackney Downs Lido, where savings of up to 250 tonnes of C02 emissions per year, and up to £520,000 in total savings over the longer term could be achieved. They will produce resources for other interested parks to learn from. We hope that our grantees will benefit from being part of the Rethinking Parks programme. They will be attending a workshop in September to share best practices and further develop their project. We also want to use this programme for anyone who is interested in parks management systems. To that end, we will be blogging throughout the programme and sharing learning from projects. 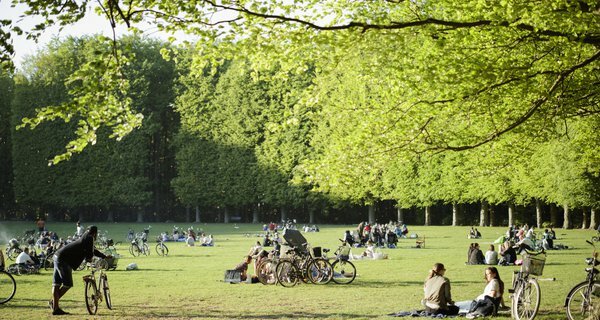 You can find updates on the Rethinking Parks project page and via the Nesta newsletter. So pleased to see more investment and networking support for this vital work. It remains a real worry that our precious parks could decline again after so much effort (esp. by volunteers) and funding to revive them. I look forward to seeing the new ideas and (in due course) actions arising from these projects. We are a new group called Friends of Rosemary Gardens on the border of Hackney and Islington. We are interested to learn more from the experiences of the rethinking parks project and your grantees including the Lordship Rec project. What is the best way to get in contact with the Nesta team and grantees and learn more what has worked? Also, would love to be informed about new learning and funding opps. This report highlights the need for new business models to run parks, given the cuts in government funding, and discusses 20 international examples of how parks innovators are doing just that.